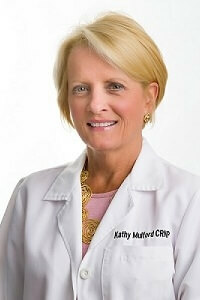 Kathy Mulford is a board-certified nurse practitioner with additional board certification in orthopedics. She has over 19 years of experience as a nurse practitioner with 15 years in orthopedics. She specializes in spine and upper extremity problems as well as osteoporosis. 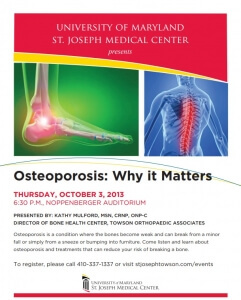 She is currently the Director of the Bone Health Center here at Towson Orthopaedic Associates. To TOA Administration: After recently reading a review on your website about Kathy Mulford I felt the need to respond. I am a patient of Ms Mulford and have been always treated with great respect when I have seen her in the office. She is very professional, listens to my concerns and has cared for me with care and understanding. It is very disturbing to see these comments and hope you will consider removing them from your website. Ms Mulford certainly does not deserve this. I don’t know how to put comments on your website so I hope you will accept my comments in writing. -- Mary L.